People are wearing safety pins to mark themselves as a safe space for those feeling vulnerable after the election of Donald Trump. How do you navigate Trump’s America? One way is to look for an unexpected ornament. Days after Donald Trump was named president-elect, Americans are spreading a message of unity with an unlikely object: a safety pin. And it looks like Americans borrowed this idea from our friends across the pond, who used this technique during Brexit. That’s when the safety pin movement started. Months later, Americans are following suit since the rise of xenophobic behavior. 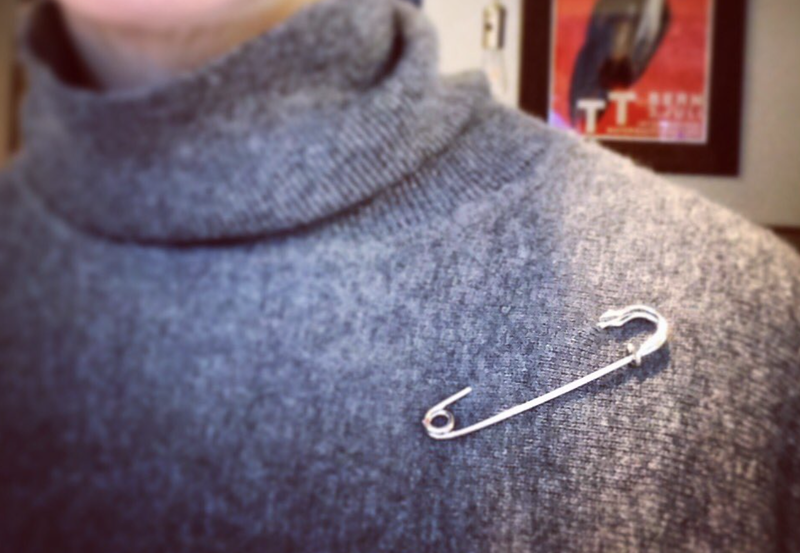 It won’t unite us all, but if you consider yourself a “safe space” consider wearing a safety pin.